Christchurch is known as the 'Garden City', so expect to see plenty of Gardens & Parks in Christchurch and around Canterbury. City greenery, plus countryside splendour, combine to offer a wealth of wide open spaces to enjoy. Christchurch Gardens & Parks typify the image of New Zealand being green and bountiful. The Botanic Gardens are a paradise in the middle of town, looped by Hagley Park and the River Avon. It's one of the city's most visited places. Hagley Park itself is popular with dog walkers and joggers and has a couple of playgrounds for the kids. Riccarton House and Bush is very pleasant on Sundays. On the outskirts of the city, Victoria Park offers stunning views of the city, the Canterbury Plains, the Southern Alps, and Pegasus Bay. In Fendalton, Mona Vale is a 4 hectare public park with a café and historic buildings. 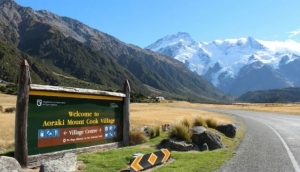 South of Christchurch, is particularly known for its green spaces, and the Canterbury Plains as a whole offer so many domains and open valleys, you need to hire a car to get around the best of them.